A custom cheerleader bobblehead can have her uniform customized to your daughter's team. If your daughter dreams of winning cheer competitions like in the movies think Bring It On and all of its sequels - make her a bobblehead doll that will cheer her on! 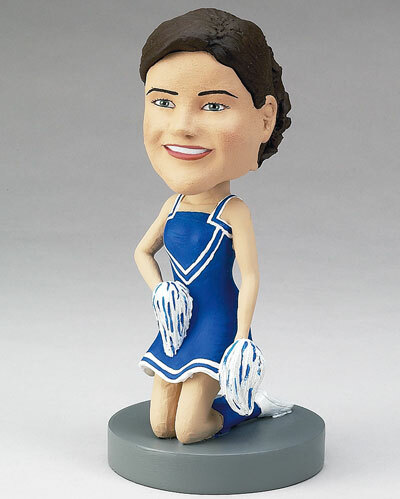 You yourself might need some encouragement or want to encourage a friend or loved on; give them a cheerleader bobblehead to commemorate their experience!